On Saturday I had my first ever stall at a show with the E17 Designers at the Walthamstow Garden Party. Exciting! As always, I gave myself far too much to do and ended up working frantically all week trying to finish everything. I found this tablecloth that I made many, many years ago for a roller derby event and, as I had run out of time to order something more sensible, decided it would have to do! Anyway, after all the panic and nervousness in the run up to Saturday, I had loads of fun on the day. 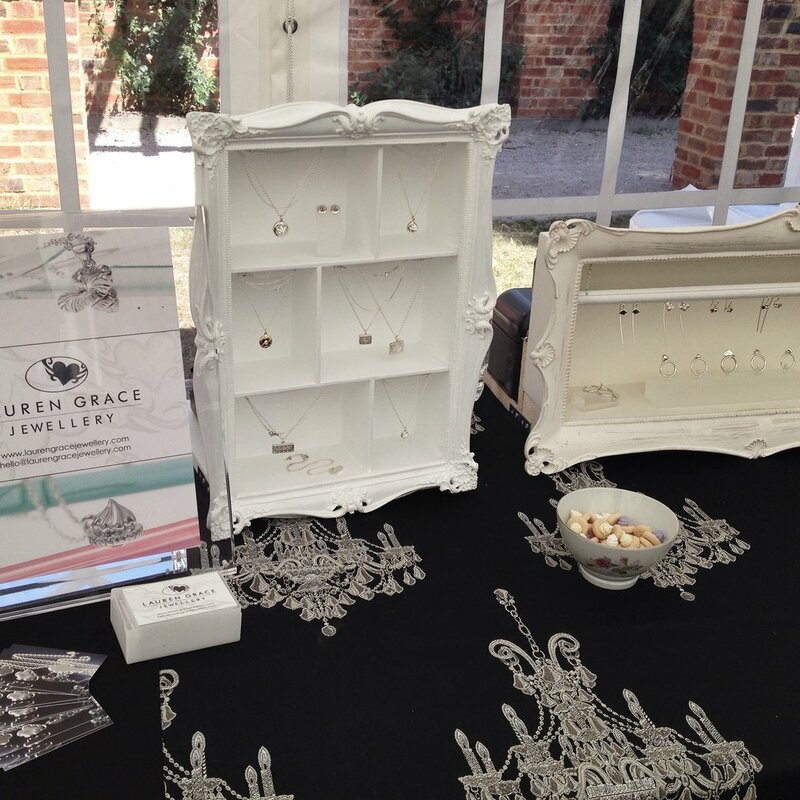 People said lovely things about my jewellery (and my display, hurrah! ), I gave out hundreds of business cards and even sold some pieces. Ended up going back to the Walthamstow Garden Party on Sunday, as it was so busy on Saturday all I got to see was the inside of our marquee. The festival itself was wonderful! Loads of lovely food (including a sign I spotted advertising confit duck burgers - a candidate for most middle class burger ever award surely! ), good music, lots of activities for children and for adults, and a really lovely chilled out atmosphere. It helped that the weather was lovely of course! I hope they do it again next year. So, now I have my display all ready to go (although it could probably do with another coat or twenty of white paint) I have no excuse not to apply to do more shows and markets. Onwards and upwards!